Commerce Content is independent of Editorial and Advertising, and if you buy something through our posts, we may get a small share of the sale. Click here for more. As someone who paid $500 for an Xbox One on launch day—and that’s without any games—these deals make me want to cry a little bit. 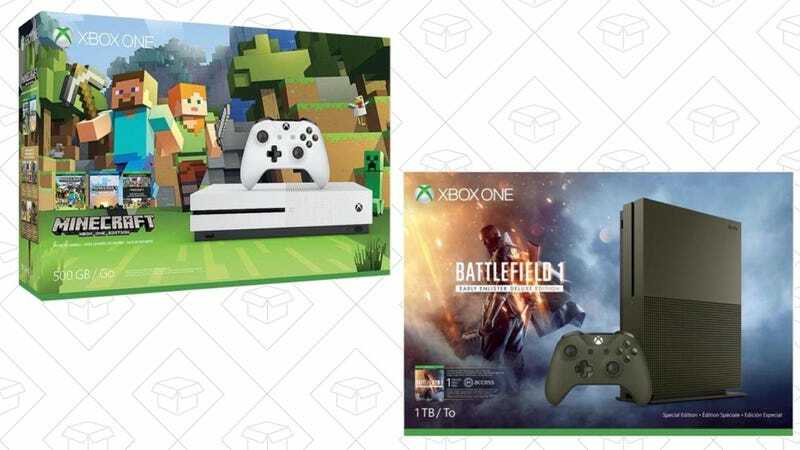 Get a 500GB Minecraft console bundle for $200, or a 1TB Battlefield 1 bundle for $240.